DEFT® Interior Clear Lacquer Sanding Sealer is specially formulated to precede the application of DEFT® Interior Clear Brushing Lacquer. The sanding sealer serves as the base coat and is designed to seal and protect the surface. 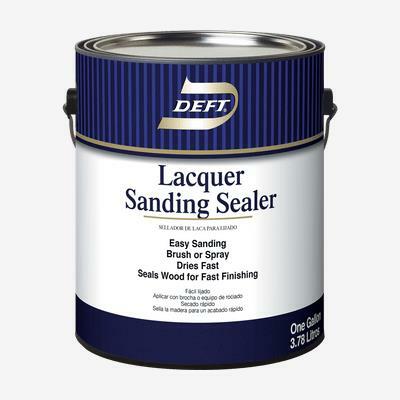 DEFT® Interior Clear Lacquer Sanding Sealer is ideal for stained or bare wood surfaces, including furniture, floors, cabinets, doors, and trim.